Three decades in, The Jayhawks are still best known for the 1995 single “Blue,” from the album Tomorrow the Green Grass. The band never reached superstar status, but the Jayhawks remain a relevant force in Americana. 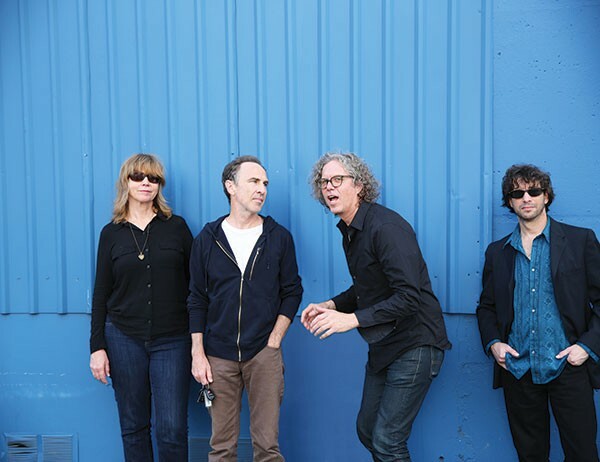 Lead singer/songwriter Gary Louris talked to CP ahead of a May 15 show at Mr. Smalls. What do you attribute the band’s longevity to? I think our music has no particular time and place. Our music is the music you can grow older with. It seems to be reaching different generations. We have fans now who bring their kids to our shows. I think, also, our failures as a band have worked in our favor in terms of longevity. Was there a letdown after that success of Tomorrow the Green Grass? I wouldn’t consider that album a huge hit, not by label standards for sure; but I’d say the album and the single off it, “Blue,” were more of a cult hit. The perception of the Jayhawks was bigger than the reality because of that song and album. We’ve always felt we were on the cusp of something bigger, but never got there. It was frustrating at the time. For the longest time I wasn’t appreciative of that success; not only with that album, but everything we accomplished. I am older; I can really appreciate what this means and the beauty of the longevity. I am proud of our history. The band’s original core is back, but it still seems like a new incarnation. It’s like a new chapter because so many things have changed, but so many things have stayed the same. I went through drug and alcohol treatment and it changed my whole life personally and musically. I feel like this is the first time I am fully engaged with the band. This is as fairly serious [as] we have been in a long time [as a band]. It’s more rewarding now. I used to compare myself to others and it would get me down and depressed. I would just be in a bad place and not happy. But now, and I think becoming clean and sober has a lot to do with this, I can really accept what we’ve accomplished as the Jayhawks. I hear some new adventures in sound on the new record, maybe some experimentation; maybe some Brit-pop/Nuggets-era influence? That sound probably has been there in one form or another over the years, but it is more prevalent on the new record. My roots are more in British music, art rock, prog rock, more than anything Americana. My personal recordings are more synth and guitar rock. I was in a British cover band once and a friend brought in an Elvis Sun Sessions album. I was already 30 years old and that opened the door to so many options of American sounds. I never listened to American music before. It was all new and interesting to me. That’s how I got into the Jayhawks style of music. It seems as though the theme of the new record is the idea of people needing to slow down and look at life. The main theme is being aware of where you are, digging down deeper and getting past the surface of things; appreciating where you are and what you have. Everything now is the next update, upgrade. Everything you see on television is about building a bigger, faster planet. Meanwhile suicide is up 25 percent in America. It’s like we are overlooking the obvious. Too much of a good thing, like alcohol, is not so good. We need to take care of each other. The album is a bit of a cry of help in that way. There is also a lot of feeling of movement. It’s the dichotomy of my life. I spend a lot of time at home with a lot of time to think. Then when I get on the road I am constantly moving. You have to be where you are at this time and it’s hard to do. I spend a lot of time by myself at home with books. I don’t do the bars, lunches and “let’s meet for coffee” type things. I know too much isolation is not good. I am a fairly shy person until you get me going. There are several book references on the new album. You’re a bookworm, right? I steal from the best [laughs]. I read voraciously. I have three or four books going at once. I don’t enjoy reading on a kindle or iPad. I do on the road though because it’s easier than lugging around seven or eight books. I love the feel of an actual book in my hand. I love the smell of books. Bookstores are like my candy store, more than record stores or guitar stores. I feel at home in a book store.